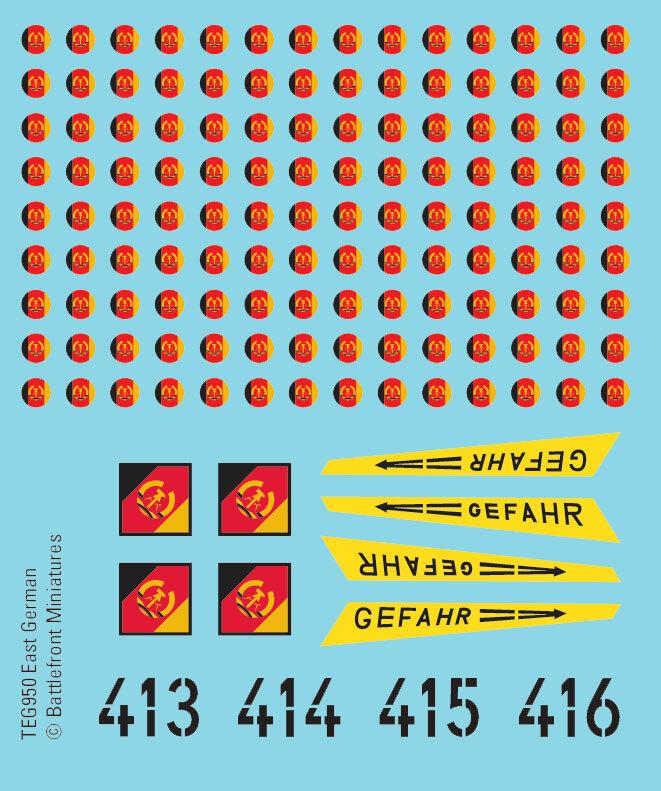 The Warsaw Pact, also known as the Treaty of Friendship, Cooperation and Mutual Assistance was established in response to and as a balance to the formation of NATO bringing together and forming the Eastern Bloc of power thereby allowing them to consolidate and coordinate their military forces. 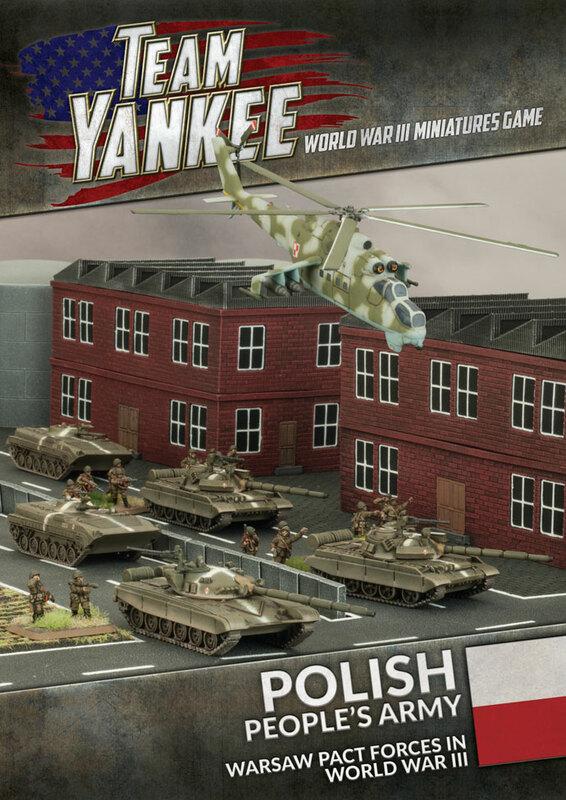 the members of the Warsaw Pact prepare themselves as they get into position for the main thrust against NATO. 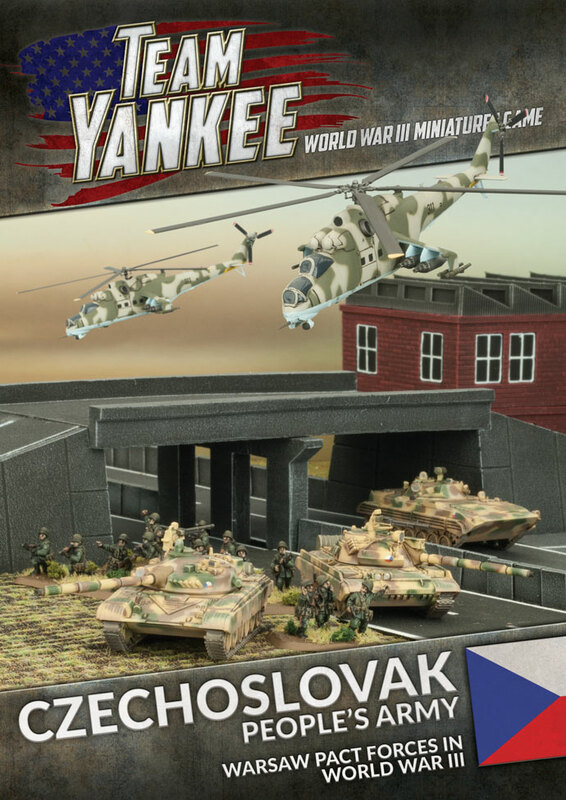 The Czechoslovak People's Army and Polish People's Army booklets allow you to build these forces for Team Yankee. 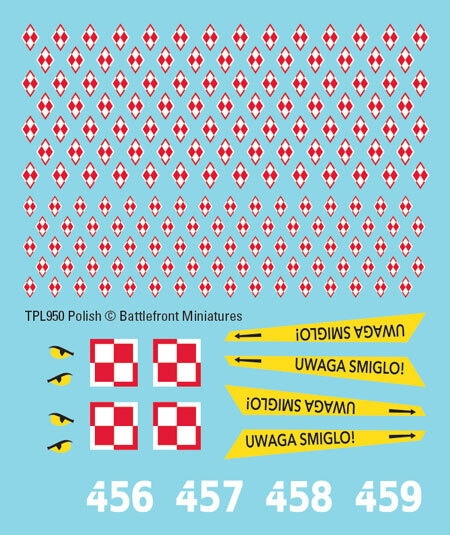 Each 24 page booklet also includes all the Formation and Unit Cards you need to build your army. 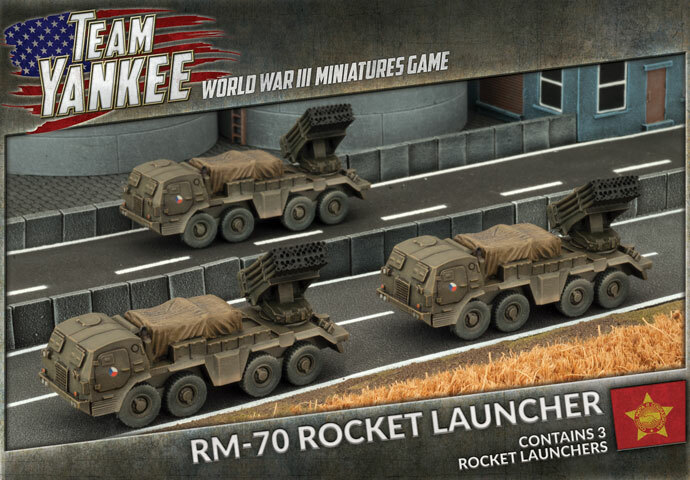 A range of specialist vehicles used by the Czechoslovak and Polish amies are now available to order. 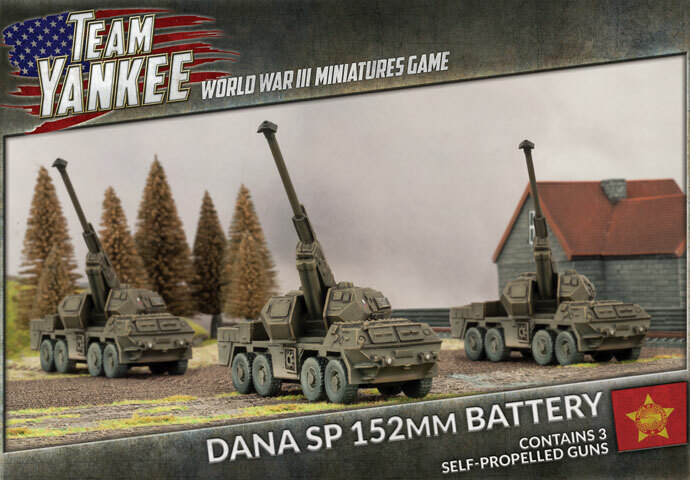 To complete the army, purchase additional models from the Soviet range available in the Online Store. The standard wheeled armoured personnel carrier of the Czechoslovakian People's Army is the locally designed and produced OT-64. The OT-64 SKOT (Czech acronym for Střední Kolový Obrněný Transportér - medium wheeled armoured transporter) is an amphibious, 8x8 wheeled armoured personnel carrier developed jointly by Poland and Czechoslovakia. Most vehicles have been upgraded to the OT-64A, an improved version fitted with BPU-1 turret from Soviet BRDM-2 scout car armed with a 14.5mm KPVT heavy machine-gun and 7.62mm PKT coaxial machine-gun. 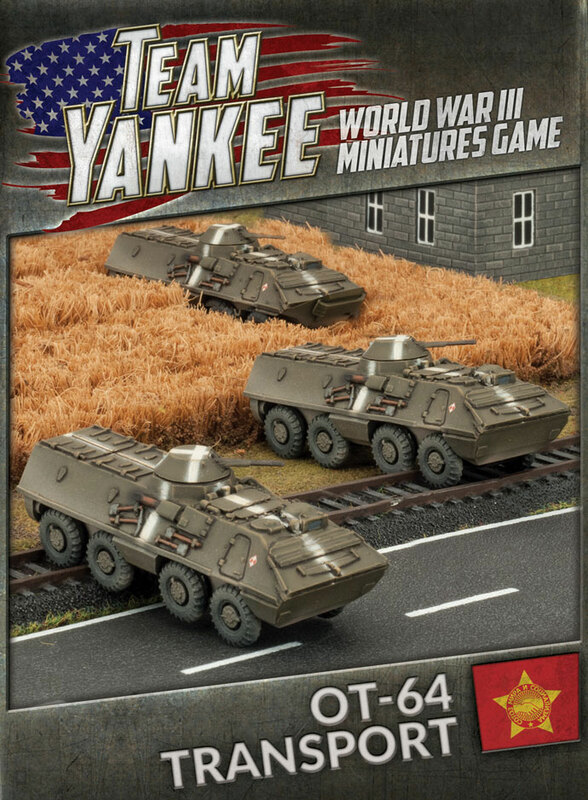 The OT-64 is fielded by both Czechoslovakian and Polish forces. 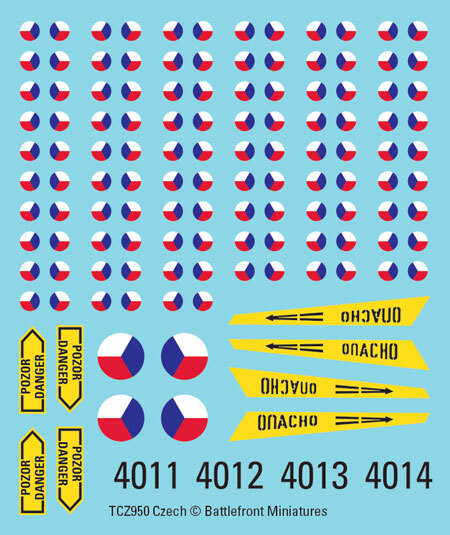 Each of the three decal packs (Czechoslovakian, Polish and East German) contain two National Symbol coloured decal sheets (shown above) that give you enough markings for four Hind Helicopters and over 100 vehicles. 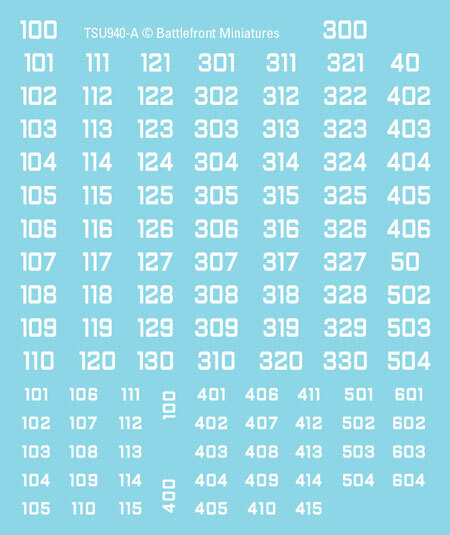 The packs also include two generic vehicle number sheets (shown left) to personalise your Companies and Platoons.